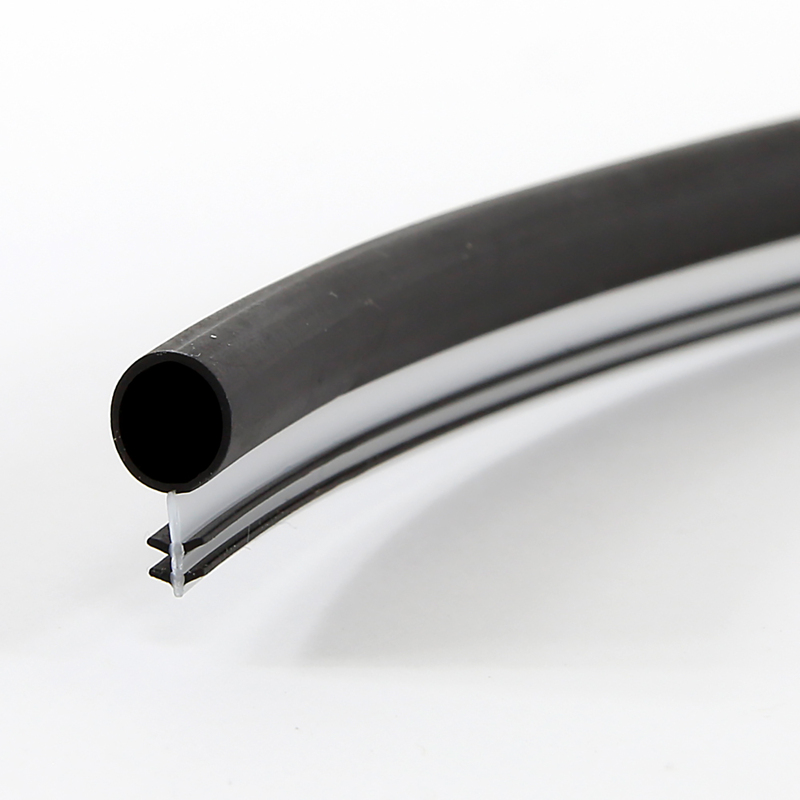 Today’s window and door designs demand a competitively priced seal with low closing forces and long term resiliency that will provide protection against short term and long term air and water infiltration. The features of this new technology are multiple. Utilizing the chart below, the characteristics of various compression seal technologies are evaluated based on criteria that is critical to any design engineer developing fenestration products where air and water penetration must be taken into account. The chart shown reviews the various parameters for a quick reference guide. 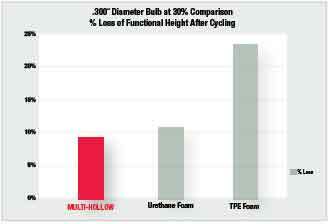 The features of the of the Multi-Hollow Bulb (MHB) sealing technology are numerous. 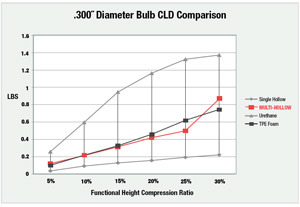 The graph indicates that when the seal is at optimal compression, the closing force does not fully “ramp” until at the 25% compression phase. During the early stages of compression the MHB seal requires minimal force. At the later stages of compression the outer bulb makes contact with the inner bulb and closing forces build rapidly to provide excellent sealing pressure against the mating surface. 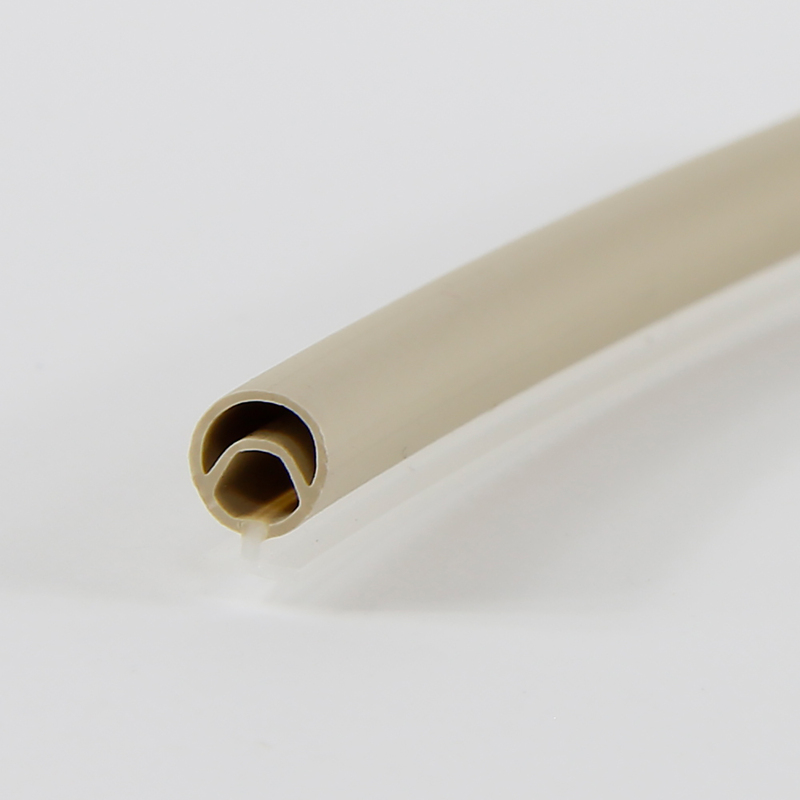 This high level of sealing pressure is what makes the seal extremely effective against air and water infiltration. Loss of functional sealing height is always a critical design concern when attempting to mitigate thermal, air and water penetration. “In-cycle” testing (5000 cycles) at a compression range of 30% was performed on various types of sealing materials. The Ultrafab MHB sealing technology lost the least amount of functional height, when compared to all other commonly used sealing options now on the market, including TPE/TPV and urethane foams. The strategic placement of a bulb inside a bulb creates a multi – chambered structure when the bulb is in a compressed state (see figure). 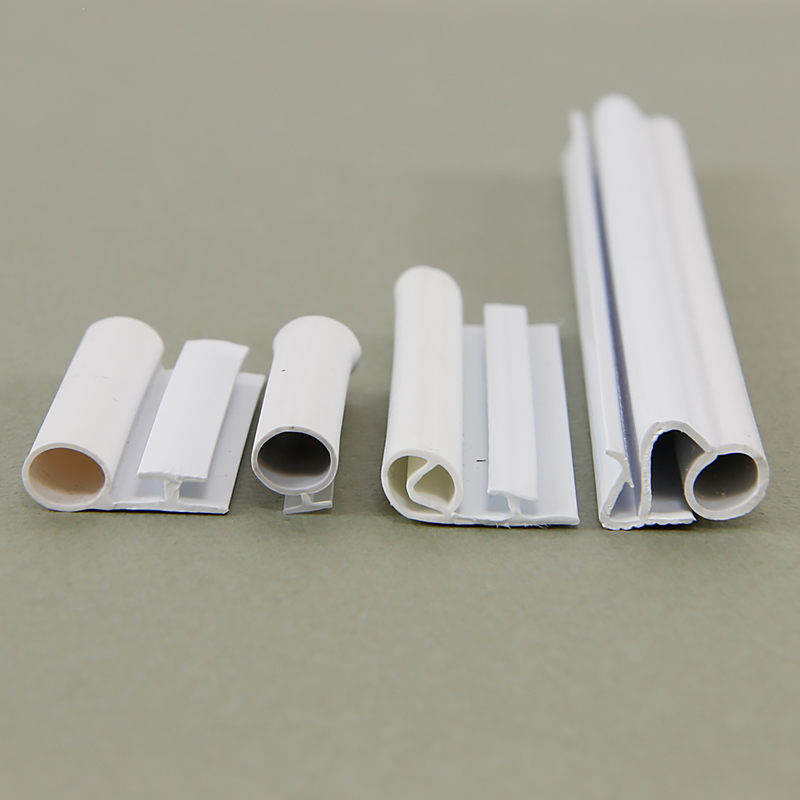 The three chambers that are created make for improved thermal and sound abatement properties over standard hollow bulb seals. 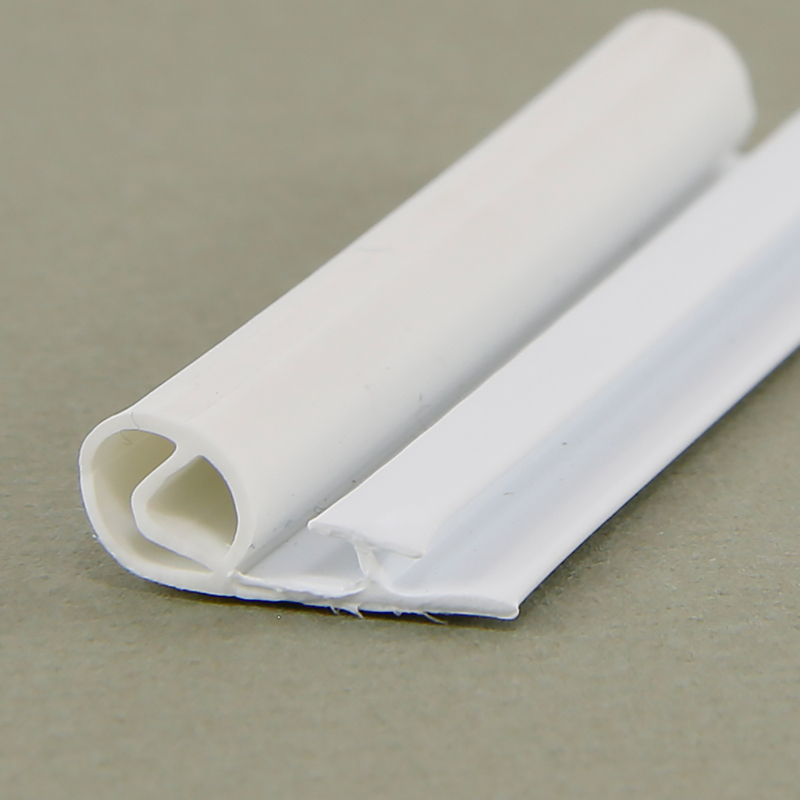 The secret to the optimal performance of the new Multi-Hollow seal technology lies within its design. The addition of the internal seal cavity results in a configuration that is designed to reduce any loss of functional height, thus maintaining its original shape after multiple open/close cycles. 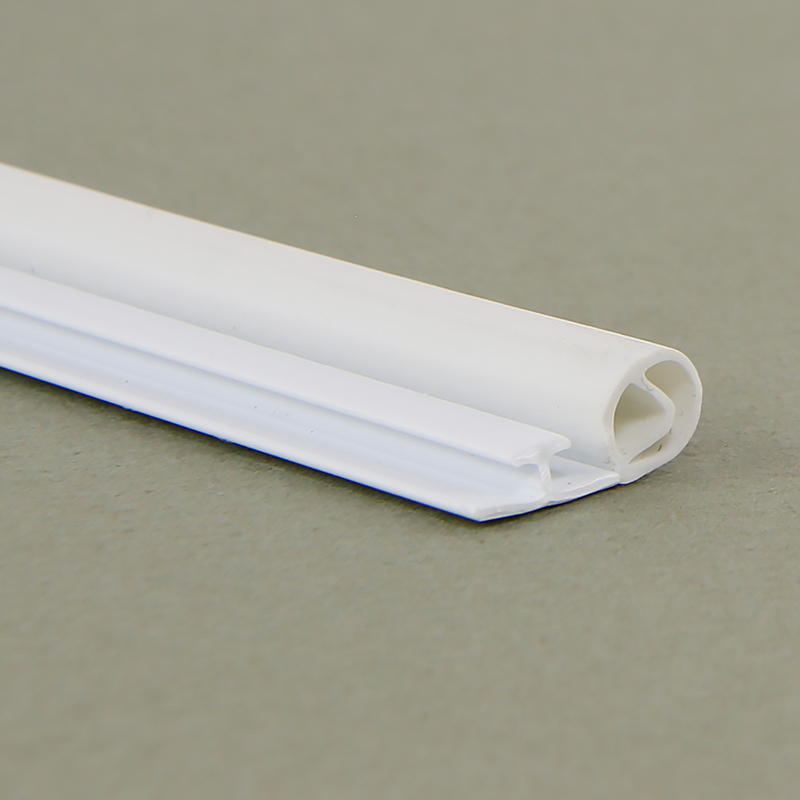 The MHB seals can also be “fine tuned” for specific applications by adjusting the relationship between the inner and outer bulbs. Designers can “dial in” the preferred closing force and seal pressure created at final compression point. 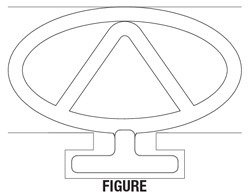 Lower jamb/interior stop locations (sides) of a DH/SH sash where, upon tilt-out, lower compression seal binding/tearing can occur. 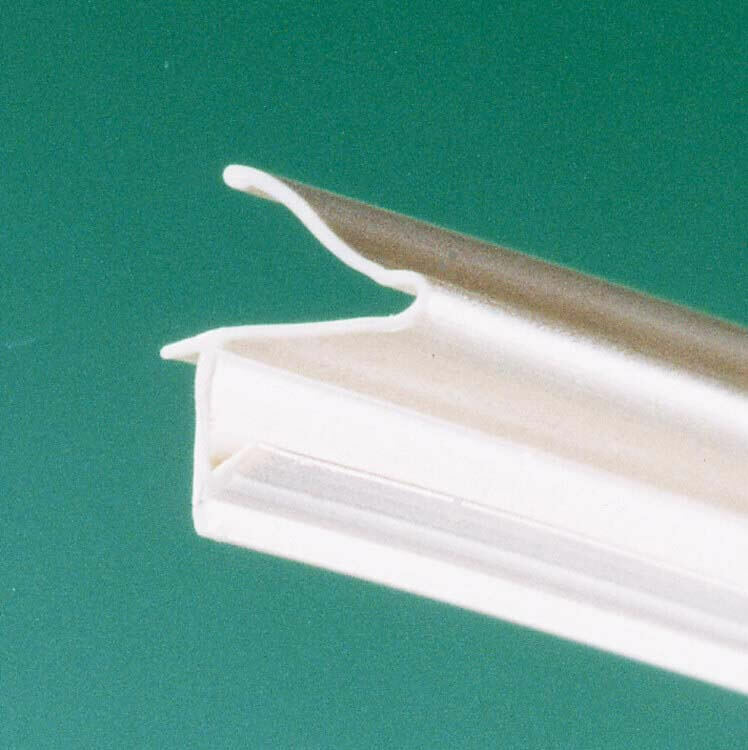 Casement applications where binding upon closure at the hinged location may take place. All standard and custom shapes are available in a variety of colors, including white, black, tan or brown. 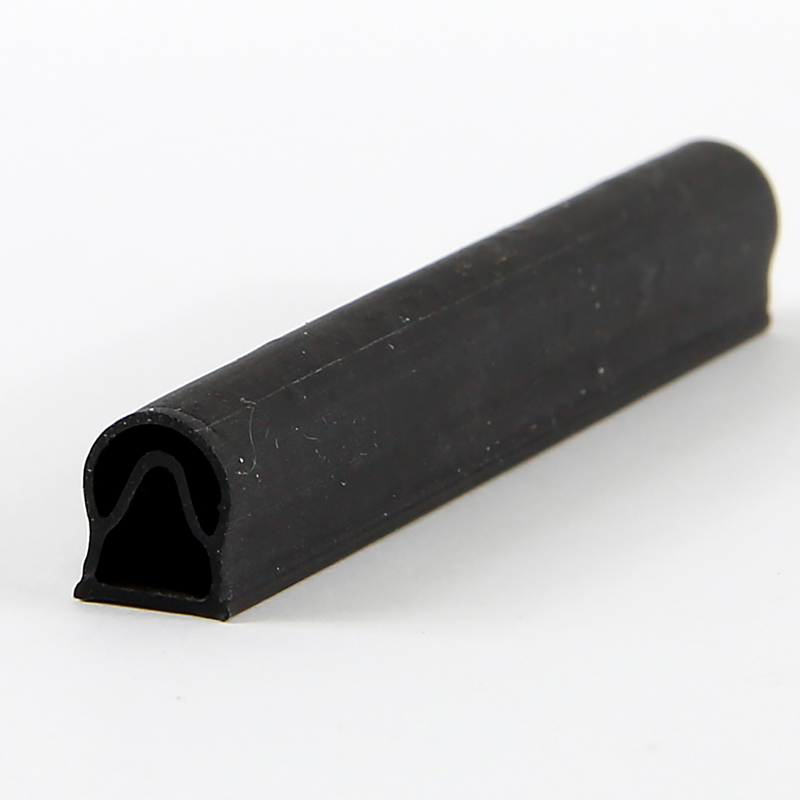 The rigid or base portion of the seal can be manufactured with talc-filled materials to reduce stretching during insertion or expansion and contraction in demanding applications. 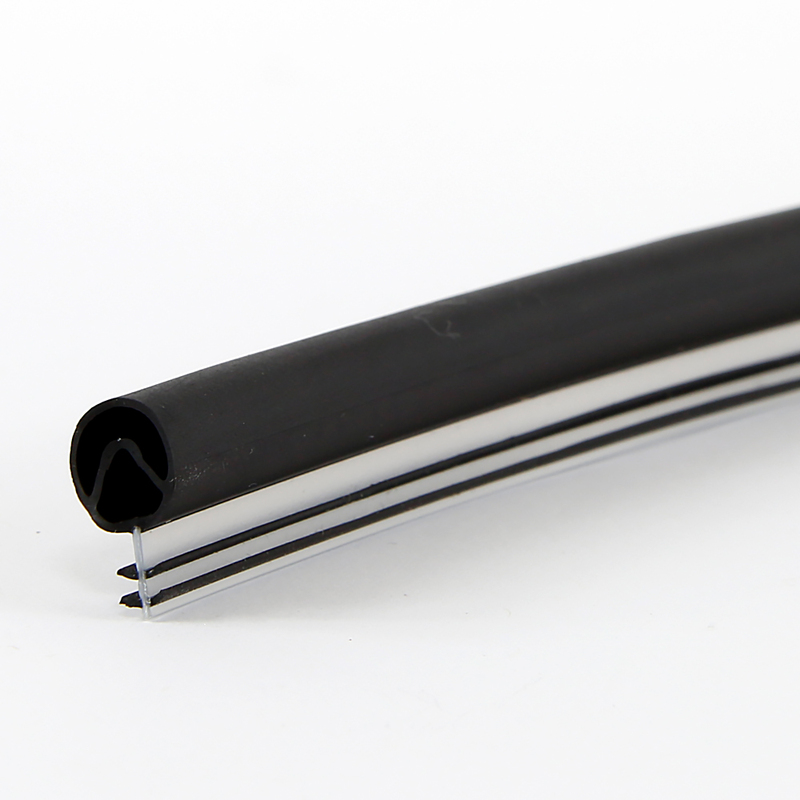 Product is also heat-weldable and fully recyclable.